Select your currency from top of the page. Why rent when you can own? PaintShop® Pro 2019 Ultimate is the most affordable, user-friendly alternative to Photoshop. 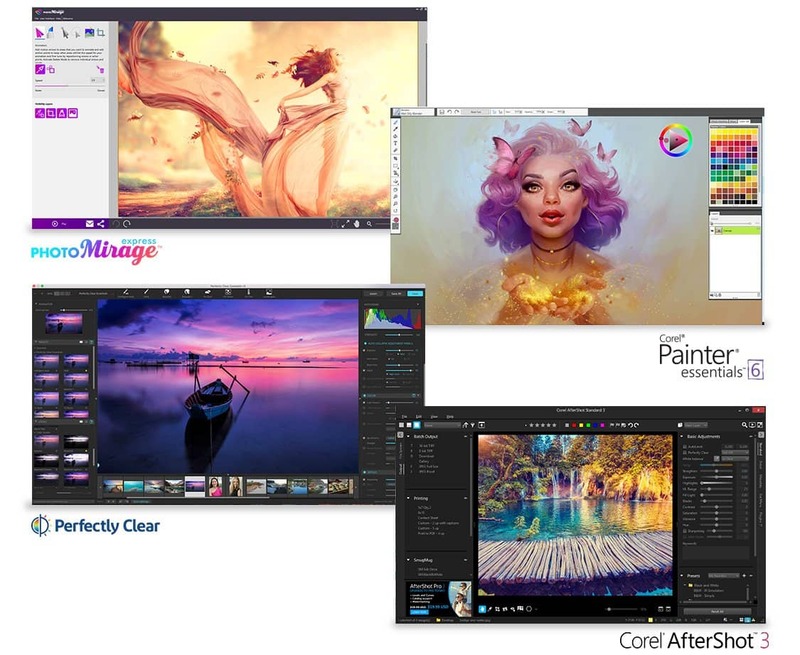 PaintShop® Pro 2019 Ultimate is a lifetime subscription. Create excellent photos and original design projects with PaintShop Pro’s expansive collection of professional photo editing tools, in addition to five invaluable creative applications. Effortlessly convert any image into a mesmerizing animation in a matter of minutes with PhotoMirage Express. Become a digital artist with Painter Essentials 6, an easy-to-learn painting application. Restore details, color, and more which is lost by your camera with the proven, patented image corrections in Absolutely Clear 3.5 SE. Instantly learn professional-grade RAW photo editing and take control of huge photo collections with AfterShot 3. Why you pay year after year for something you can easily own for a lifetime? Get affordable, subscription-free photo editing software with Photoshop-like results. Buy PaintShop Pro Ultimate once, and it’s yours forever at a lower cost. Get the professional power you want, plus the high-quality tools you need to take your photos and designs to the next level.